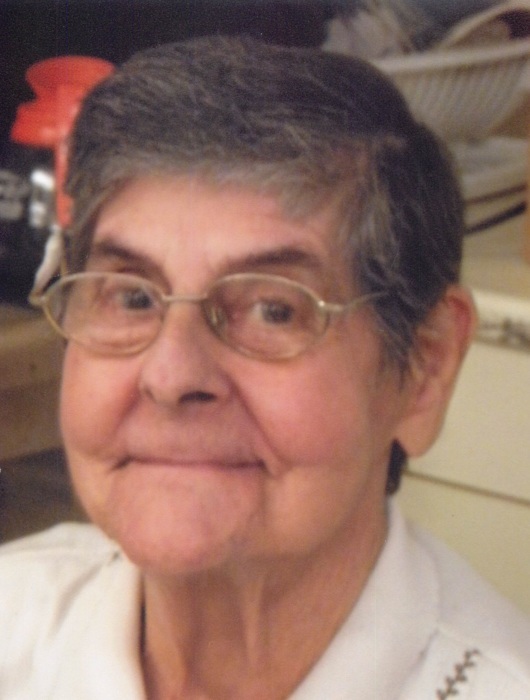 Barbara Jean DeForge, 90, formerly of Bridge Street passed away peacefully at Heritage Hall East on Wednesday, January 16, 2019, where she lived for the last nine years. Barbara was born November 14, 1928 in Agawam to the late Jasper and Catherine (Connor) DeForge. She retired from the town of Agawam as a telephone operator. Barbara was a communicant of St. Thomas the Apostle Church. She was the sister of beloved Robert R. DeForge of Agawam, loving aunt of Pamela Jones, Philip DeForge and his late wife Vicki, Diane DeForge and her late husband Michael, Mark and Maggie DeForge, Beth DeForge, Kevin and Mary Quick, Kathleen and Jim Kelly and she was also great aunt to several. Barbara is predeceased by her brothers Leo, Philip, John (Buddy), and her sister Alice Quick and her very dear friend Mae Longtine. The family would like to express their deep gratitude to Heritage Hall East Staff for the care they gave Barbara over the last several years. Calling hours will be Saturday from 9-10 AM at the TOOMEY-O’BRIEN FUNERAL HOME, 1043 Westfield Street, West Springfield, followed by a Funeral Mass at 10:30 AM at St. Thomas the Apostle Church. Burial will be at the St. Thomas Cemetery in West Springfield. In lieu of flowers donations in Barbara’s memory may be made to the Shriners’ Hospital, 516 Carew Street, Springfield, MA 01104 or to BayState Hospice, P.O. Box 9058, Springfield, MA 01102-9058. For more information please contact www.tomeyobrien.com.